Born 1915 in Cleveland OH. Died 2005 in Gloucester MA. Erma Wheeler was born in Ohio in 1915 and moved to White Plains, New York, in 1925. In 1932, she began to summer with her family in Rockport, Massachusetts, where she painted and associated with many of the well-known artists of the day, including W. Lester Stevens, Samuel Hershey, Ann Brockman, William McNulty, and John Corbino. In New York, she studied with Gifford Beal and John Sloan at the National Academy and the Art Students League in New York City. In 1947, she moved with her husband to the village of Annisquam, adjacent to Rockport, and she lived the remainder of the life there, becoming an integral and enduring part of the community of artists on Cape Ann. With Norma Cuneo and assisted by Ellen Ferrin, Wheeler designed and executed the Gloucester Fisherman Lost at Sea Memorial Mural, installed in Gloucester City Hall and dedicated in 1979. The mural incorporates the names of 4,000 Gloucester fishermen lost at sea between 1874 and 1975. 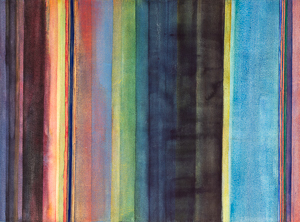 Her work is in the collection of the Cape Ann Museum and numerous private collections. 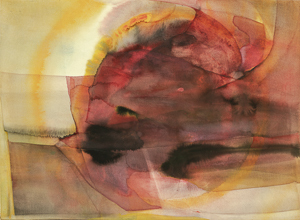 An exhibition of sumptuous, sophisticated watercolor paintings from the 1970s, 80s, and 90s by Erma Wheeler .